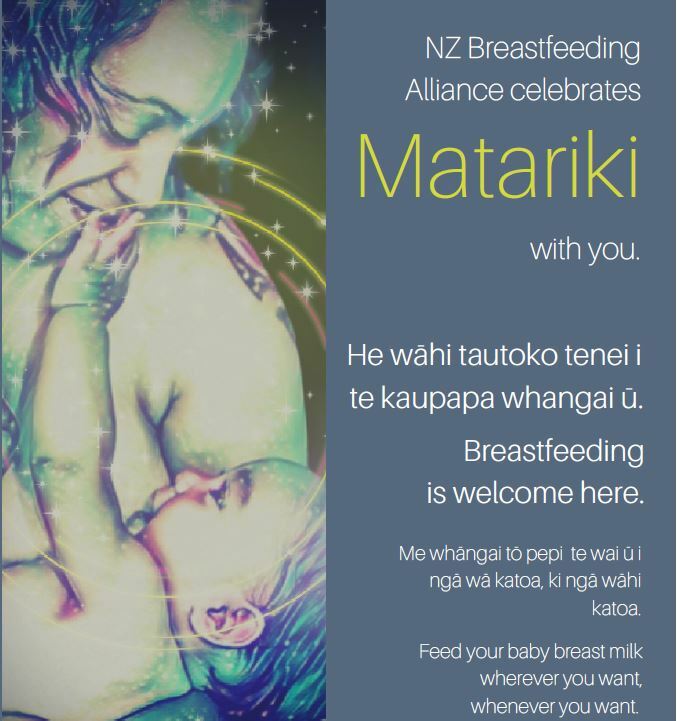 Baby-friendly Aotearoa New Zealand (NZBA) is encouraging people to celebrate Matariki by welcoming women to breastfeed. He wahi tautoko tenei i te kaupapa whangai u - Breastfeeding is welcome here. They have a produced a special poster to go with this Matariki message. Download the Matariki poster from Baby-friendly Aotearoa New Zealand. You can order hard copies from the NZBA for a $3 postage cost (info[at]nzba.co.nz).